Yep! This one is one of the best variations I’ve read. Oh the feels! I was so swoony over Darcy as a protector. And you’re right, things got pretty tangled there afterward. OMG! What a beautiful, powerful review. Man… I want to read this. Excellent review and I have it in my TBR pile. I picked this up when it was on sale recently. It had been on my wish-list like forever. This review makes me want to read it sooner. Thanks for the recommendation. Oh Rita, I could not agree with you more! 100% I just recently reread it when it went on sale (joy joy joy) and I loved it more the second time around because I’d forgotten a few details. ***** (and yes, it deserves more) And, exciting possibility, I hear that Jan is thinking about a sequel. Sigh. Really?? I hadn’t heard about that! Oh… I would love a sequel!!! I have read this book three times – love it. And I am sure I will read it again. So sigh worthy. I have it in kindle and in paperback! Yes I will definitely be reading this again. I’m so, so, so glad you liked it Glynis!!! I know it does have a lot of angst and that this is something you prefer to avoid, but the love story is so good that it is irresistible!!! Jan Hahn has found the way to make non-angst people to love it anyway hasn’t she? Yup, it’s a classic! Easy to love. I always cast a younger Viggo Mortensen as the highwayman. Always. Since first read. It’s add to my wish list, and I’ll get there . A wonderful and fun review, Rita. It’s already on my tbr list and reading this makes me want to start the book now. You have a way of drawing others in and convincing them to give it a try. I read this book when it first came out and LOVED it! 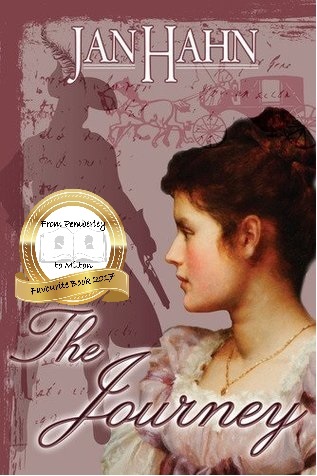 Oh, this is just one of the perfect JAFF books ever! I remember my (guilty, because he was a counterpoint to Darcy) admiration for the highwayman leader and the delicious D/E interactions. Thanks for bringing it to my attention again! Gosh you really loved this book! Sounds like a must-read. I love books that make you fall in love with them. Thanks for sharing your thoughts on it.